What Makes a Good Spore? For new players of the game Spore, you may be asking “what makes a good Spore?” Here are some helpful tips to keep in mind, including tips for interacting with the environment and other creatures. The first two stages of the game, Cell stage and Creature stage, allow the player to earn DNA points, which can be used to purchase new body parts. Additional body parts can aid in survival and will also affect how other creatures socialize with your character. Upgrading your speed with decorations can aid in escaping enemies and traveling the map faster to collect more body parts. Explore every corner of the world and find every creature part. The Creature stage is the last stage to change the way your creature looks, so make sure that your creature is how you want it before moving on to the next stage, called the Tribal stage. Another thing to consider is that once you get into the Tribal stage, playing musical instruments is vital for your tribe to socialize with other tribes and to become allies. You can also customize your character’s armor and masks. Food replaces DNA points, so food gathering becomes a central concern. Food allows you to pay for extra buildings, as gifts for other tribes, and keeps your tribe alive. Food also feeds the babies, who grow up to perform useful tasks that will help your tribe. Investing in strong attack or social skills will help you survive encounters with other races. You can also recruit other creatures in your tribe to help socialize or attack other species. Also make sure that you stay away from the epic creatures that roam the land. They are very strong and attacking them will typically result in death. If you do want to attack them, make sure that you have several advanced and strong creatures in your team. These epic creatures attack on sight, so having speed to escape them is imperative for survival. Befriend other races and those creatures can join your team, which will help in socializing or attacking other creatures. Using a variety of creatures in your team increases your advantage. In the Civilization stage, building entertainment buildings, houses, and factories is important. How you build is an important consideration as well. Constructing entertainment buildings next to houses will increase happiness, but building factories next to houses will decrease happiness. Building entertainment centers next to factories defeats the purpose because the factories create a line of unhappiness. Building a nice mix of houses and entertainment buildings with few factories will ensure that your cities are happy, which will assist you in ultimately taking over the world. In the Space stage, you can colonize other planets. Terraforming usually has to be done and ensuring that the atmosphere is conducive to life is imperative. You can abduct a creature and transport it to a planet to assess the planet’s habitability. Each planet has to be taken care of, much like the cities in the Civilization stage, otherwise the colonies will die out. Connecting with other empires is important as well, since the game has a shared universe with other players. Befriending other empires can be a great asset as they become allies and can help fight off enemies. Eventually, you will head towards a black hole at the galaxy’s center and will have to confront the Grox, a hostile alien species. 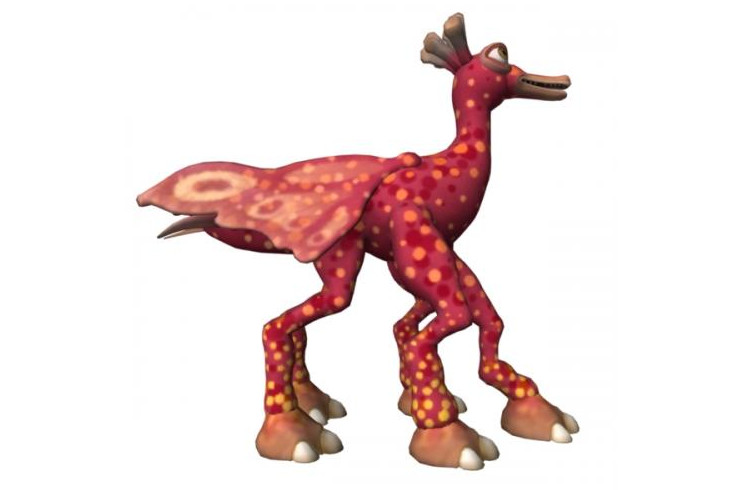 Upload the design of your Spore character to a 3D printing service such asWhiteClouds and we can 3D print it for you and ship it to your home. Enjoy a real-life model of your avatar!